Learn what is the best free antivirus software for Windows 7, Windows 8, Windows 8.1, and Windows 10 PC. Read the guide carefully and download best free antivirus software for windows PC. As the web developing each day, the hacker becomes more powerful day by day. And if you heard the news about HeartBleed Bug – A frailty in OpenSSL that allows hackers to extend their approach to the core of web servers. Hence, security mistakes like – HeartBleed, malware, viruses and sites will make it easier for the hackers to hack our confidential data’s. Now I think you should know that our web is in a big risk. So, we need top antivirus security programs to combat with it. But, many of the top antivirus software have a high tag and particularly given the cost of yearly updates. But, today we have put together the nine top freeware antivirus security stuff to enhance your Windows security effectively. And these options are better for those who got exhausted by the annual subscriptions. Below given antivirus programs for Windows have excellent features, capable to fight with malware and many more. So are you ready to explore? Avast Free Antivirus stands top of my list and doesn’t need explain why because everyone knows, this stuff used by thousands of satisfied customers. This antivirus program is very easy to install and has an uncomplicated interface for the users. After installing it, you need to perform a quick scan to check your computer malware, viruses etc. And this all has a nominal effect on your system execution. The antivirus software also has extra features. Avast has a software updater alerts programs, it notifies you about the updates if missed it by any chance, thus Avast has browser clean up tool to clear out unnecessary add-ons. Recently, it has updated with a feature called “Grime Fighter” by their developers. It promises to provide to 12 extra languages and offers a new improved security panel. If you want complete virus protection and spyware protection for Windows, Android, and Apple Mac OS then download Avast Free Antivirus right now. As the name suggests it’s a cloud-based software. Panda free antivirus is tiny and simple antivirus software and offers real-time protection. And you can easily use the panda cloud antivirus software along with others security programs. It has two versions, one is free and other is the pro version. The free version users miss some features that have in the pro version. While the pro version of Panda Cloud Antivirus provides some extra features for better security, for example the paid version helps you secure you at public Wi-Fi networks and thus “USB Vaccine” also helps you to decrease the risk of malware tainting a USB device. 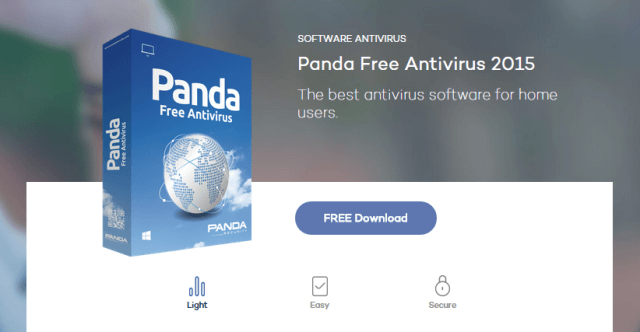 In simple words, Panda Free Antivirus is the best antivirus software for home users and you must try it to protect your PC. ZoneAlarm Free Firewall is also an amazing antivirus software comes up with decent aspects. But we have two anxieties about this program, particularly its database updated daily (Hour updates are available for the pro users), which enhance your security for the latest threats. ZoneAlarm Free Antivirus + Firewall is an AV-test-certified program, has a user-friendly firewall, and also some browsing protection options. Though its database update it wouldn’t be our first pick but if you are a big fan of ZoneAlarm then it’s the best one for you. If you are willing to get an advanced firewall, antivirus and anti-spyware engine, advanced real-time antivirus software, and enhanced browser protection software then you must give it a try. Avira free antivirus is a very effective tool for your computer. It covers two main areas of your computer. A powerful antivirus engine which always observe your PC, find threats for eliminating. And if you wish to install Avira toolbar then with the toolbar some other fine rated tools also will install. This practice will replace your current browser home page with Avira page. When you install Avira antivirus on your PC then you’ll find the user interface quite complicated but with the time you will be familiar with it. Avira free antivirus software has more efficiency on your computer than other tools. In the end, we can say Avira is all in one security engine and provides the effective package to safeguard your PC. Bitdefender offers wide range of software in many categories, and their antivirus engine is the best one. And it’s the favorite pick of independent labs, so getting the free will definitely sounds pleasing. The user interface of Bitdefender antivirus is very easy to understand, downloading and installing could be done in less than one minute. Bitdefender antivirus free edition provides automatic scan, real-time antivirus and anti-phishing safety. If you want tune up your security with simplicity then Bitdefender antivirus software is the superior choice for you. But you will soon familiar with it after using couple times. For maximizing user engagement, AVG has recently added a feature called ”AVG Zen Tool” which assures his users to add more security features for both computer and mobile devices. AVG Free Antivirus Software is one of the most appropriate choices for you if you want to use a powerful free antivirus and malware protection software. No antivirus comes up with 100% security guarantee. Any time a malware or other bug could sneak though in your defense barrier. So, having a backup plan is must. For instance, Emsisoft Emergency Kit (EEK) is a helpful option for everyone. The most interesting thing, Emsisoft Free Emergency Kit requires no any installation process and trim down any disagreement with your existing security package. Its system scanner uses the duel-scan engine which was rated high-pitched by the virus bulletin. Well, FortiClient is the best antivirus but still has decent features to look for. You can install in two modes. The standard one provides you the bunch of useful tools: an antivirus engine, simple parental controls, an application firewall, vulnerability scanning and many other features. Like Emsisoft Emergency Kit this antivirus tool also can easily run with other security programs with any fatal error. FortiClient is available for almost all platforms including Windows, Mac OSX, iOS, and Android device. 360 Internet Security Software is developed by a Chinese company called qihoo. This Chinese company has a good success record on its home soil. 360 Internet Security is the first worldwide launch ever. It isn’t a jam-packed solution for security prospective but still worth having. After installing it you will get three antivirus engines: BitDefender, its own QVM II, and Cloud 360. In recent times, this tool update with “Check Up” feature which was made for mobile devices. This new aspect comes up with elements like – anti-malware, vulnerability fixing, trash clean up and a memory cleaner. 360 Internet Security Software is specially designed to offer 360° protection. So, if you are looking for a powerful and multitasking free antivirus software for Windows, MAC, and Android then you must download and use 360 internet security software. Malwarebytes Anti-Exploit software is another free reliable exploit protection program that protects you from zero-day exploits targeting browser and application vulnerabilities. Although, Malwarebytes Anti-Exploit Software is not only an antivirus, but it’s perfectly compatible with the almost antivirus software. It’s very small in size, specialized shield designed that helps you to protect your PC against one of the most dangerous forms of malware attacks. Malwarebytes Anti-Exploit Free version is enough to protect your PC from malicious malware and other web browsers issue. Did you find this “10 Best Free Antivirus Software for Windows PC” tutorial useful for you? If yes, feel free to share your view with us through comments. You can also suggest us if we haven’t included any popular and Free Antivirus Software for Windows operating system (Windows 7, Windows 8, Windows 8.1, and Windows 10). Now, Download free antivirus software for Windows PC and enjoy !! I am just wondering why comodo windows 8 antivirus is not included into the category “Best free antivirus software” because this is the comodo is rated as the best by AV-Test as one of the best software. When you are updating the blog, I think you need to add them into it. There are several free antivirus and trial versions available in the Market. But best way to get a paid versions of Antivirus to protect PC or mobile from any attack.